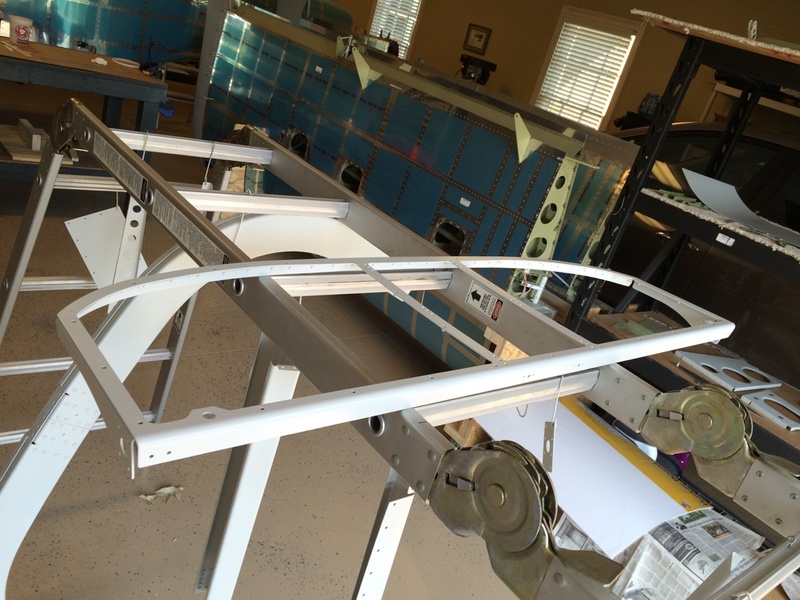 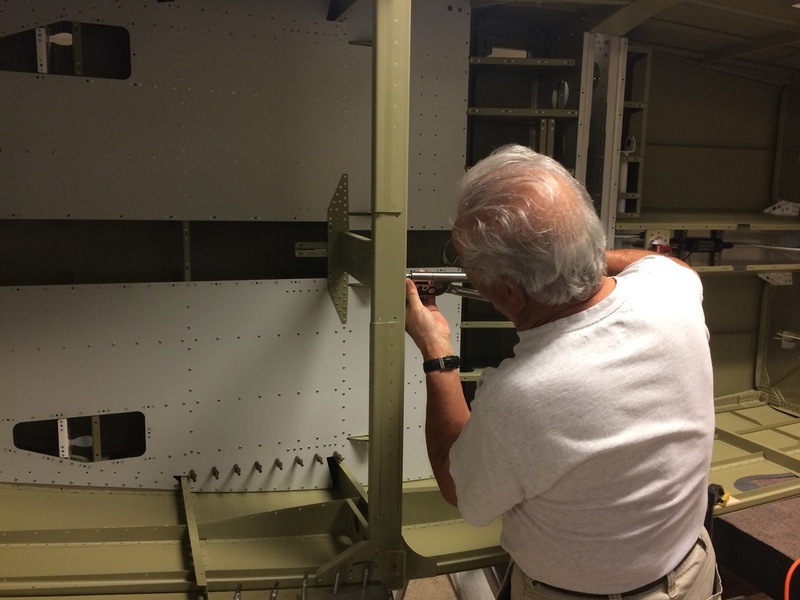 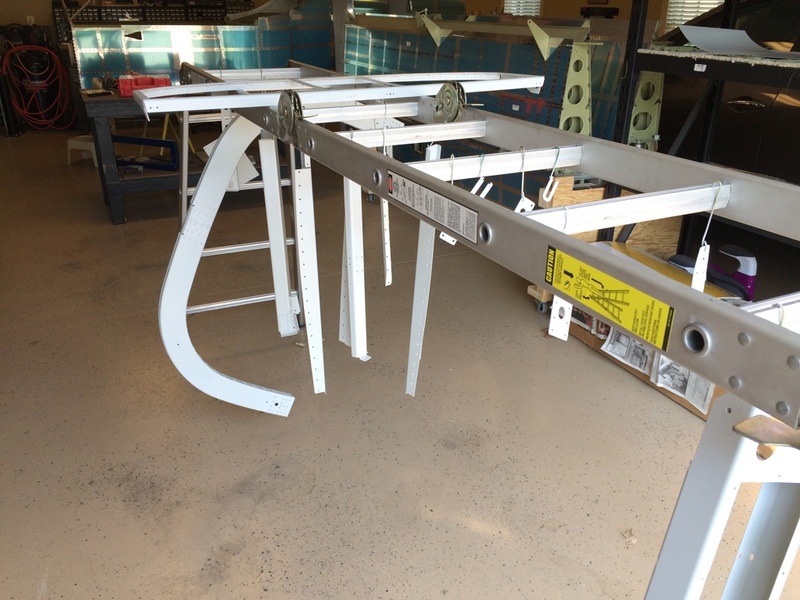 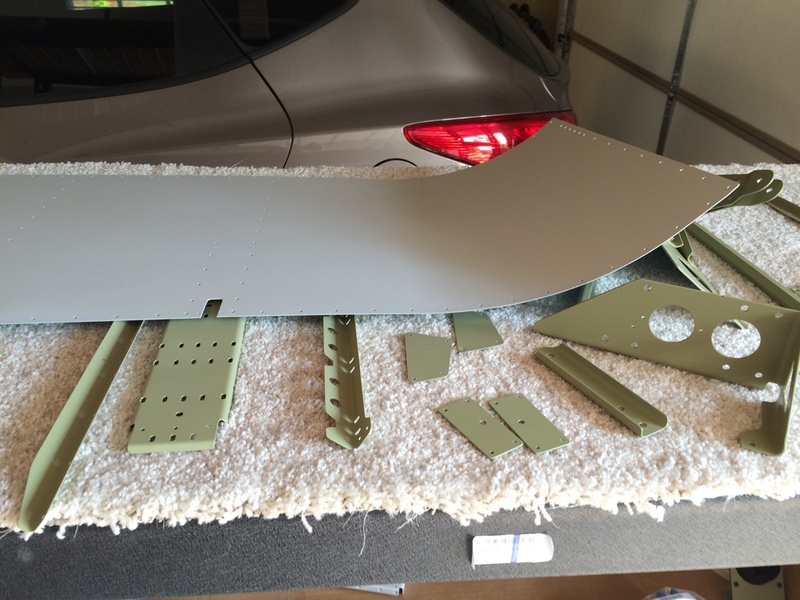 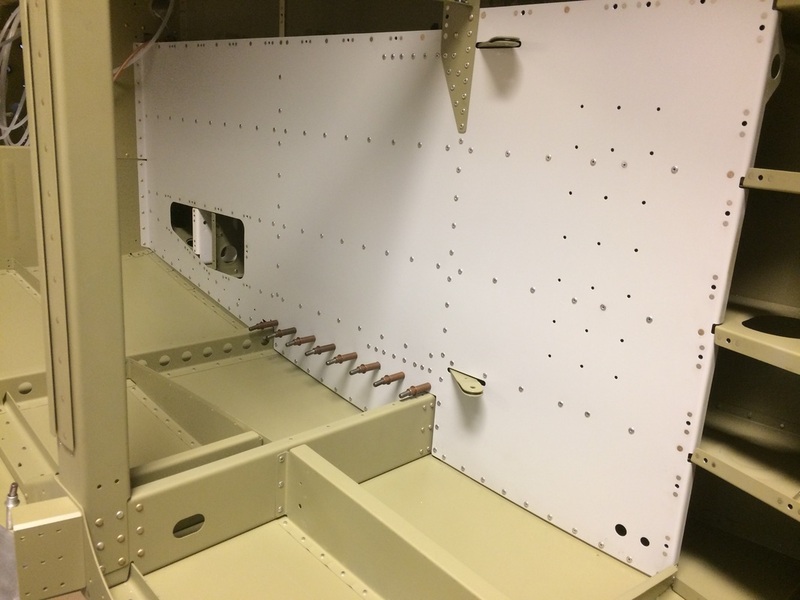 The is the start of Section 32, riveting the baggage floor pans and side panels in place. 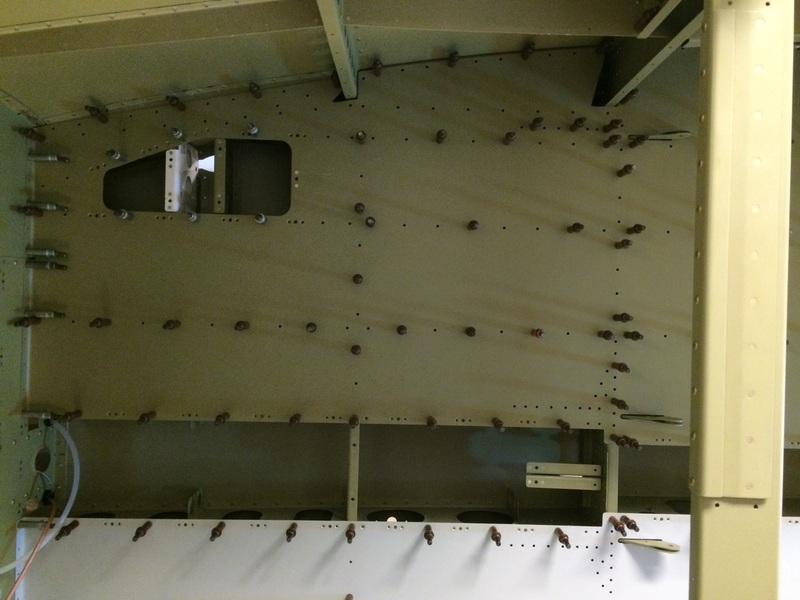 They are mostly riveted with LP 4-3 pops because there is no bucking access. 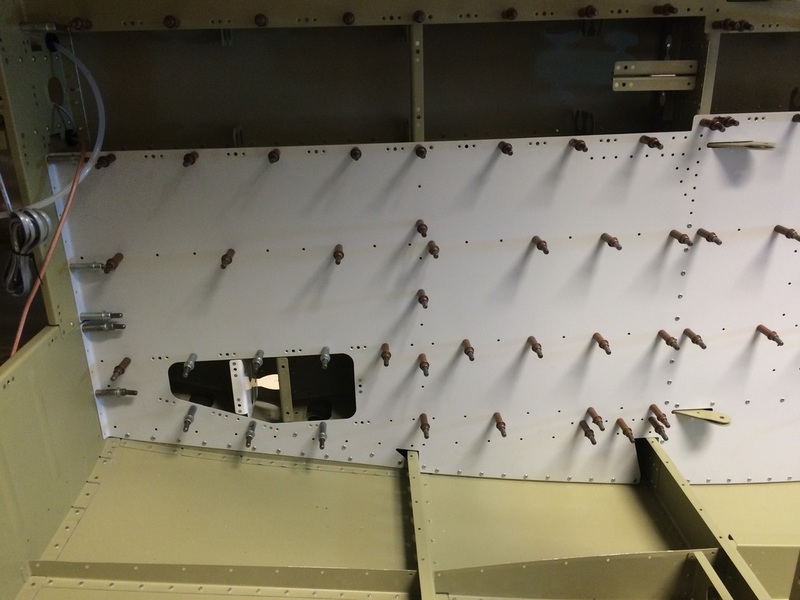 The nut plates along the edges are standard K-1000-08D which we use a hand squeezer, nothing hand here, just a lot of them. 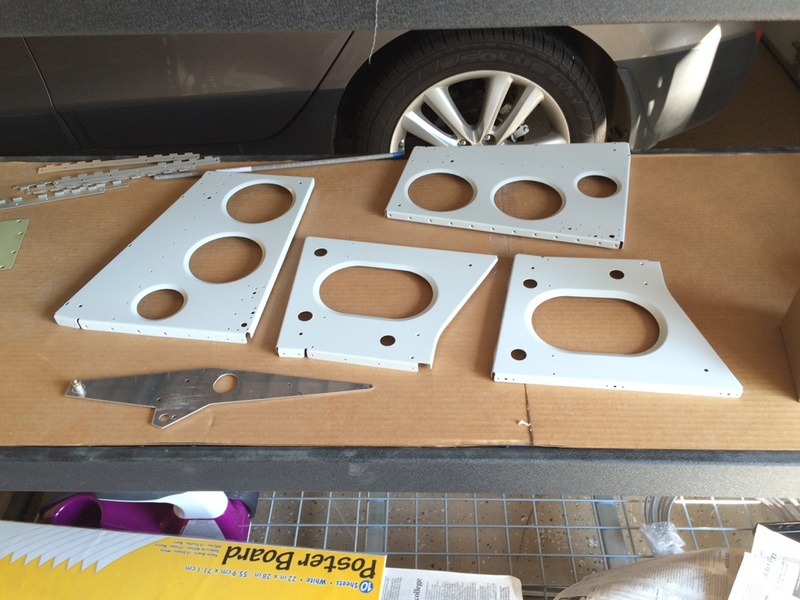 I need some practice painting with the new JetFlex paint, so I shot a coat on the pans, to get some experience. 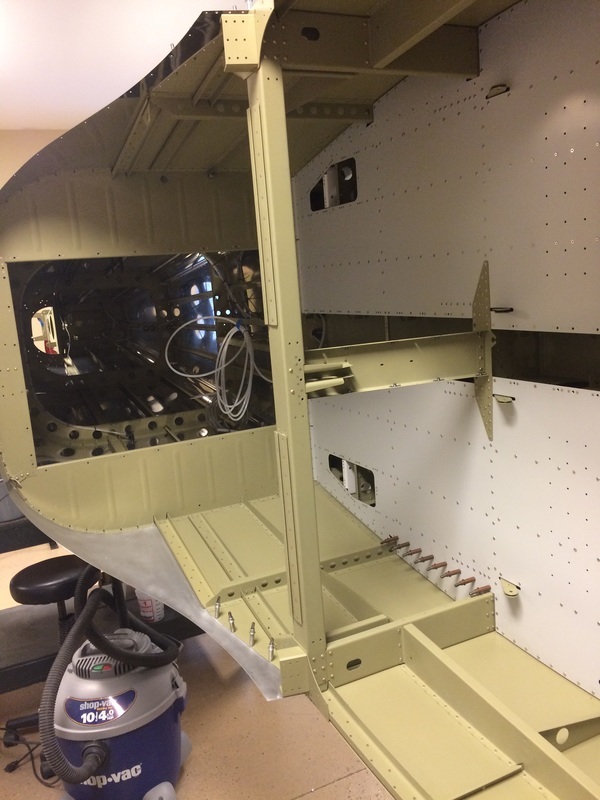 This is a good view of the flap frame, baggage floors and tail cone all coming together.